Well, I suppose it had to happen: The King is dead, long live the Queen. After all "The Crown" sets out to portray the early years of Queen Elizabeth II's reign and not the final years of her father's. Until King George VI dies about half-way through episode two of the new Netflix series, we get to see a few glimpses of his final days. One morning, the King feels good and while his doctor has his obvious doubts, he tells George, "Enjoy every minute as long as you can." Little does any of the characters know how soon Elizabeth will be Queen. The future head of state and her husband, meanwhile, seems to have a jolly good time in Africa with Prince Philip showing of his skills as an elephant whisperer, who - in true Philip-style - does manage to insult a few people along the way. "Nice hat", he tells a tribal leader in Kenya. Elizabeth, who is obviously embarrassed, quickly corrects him that it is indeed a crown. Little does she know that she has about 60 more years of this to come. In other Kenyan news, the couple stays in a tree house that is holiday goals. Back in England, the King tells Winston Churchill's Deputy Prime Minister that he will not meddling in government and try to convince his old friend to step down even though he might have done a few many years ago. The Deputy tells him "As Albert Windsor I think you may be the only person whom he [Churchill] would listen to" to which His Majesty replies, "I no longer am Albert Windsor. That person was murdered by his older brother when he abdicated." Harsh, but is there a better way to put down a scheming politician? On a side note, even though he dies a handful of scenes later, I still can't make up my mind about the portrayal of the King - it's either utterly brilliant or utterly bad. 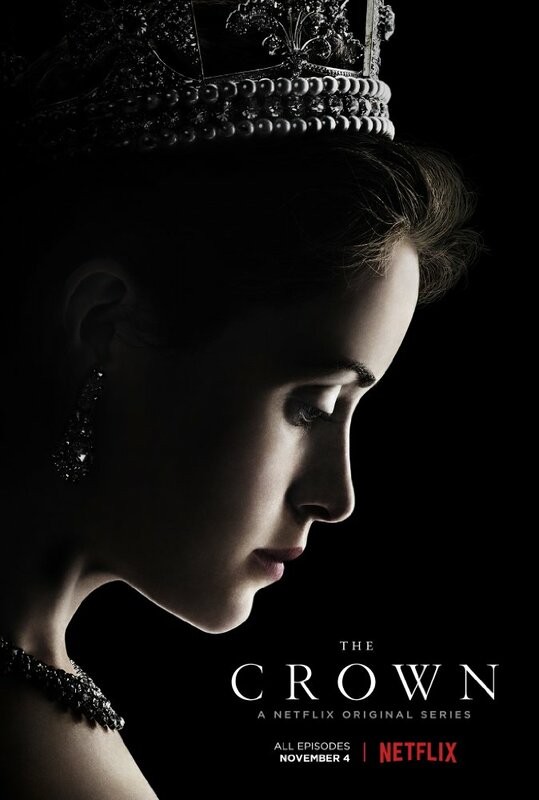 While the Queen herself was the enigma of the first episode, the role falls to her sister Princess Margaret this time around. The only things she does in the first half of the episode is smooching her married lover, Peter Towsend, in a place where quite a lot of servants can see them - so much for keeping it a secret - and to have a duet with her father. Well, I guess we will see a lot more of the former. Not so much of the latter though for it is the last song King George will ever sing. Before going to bed, he watches the news on TV and sees his elder daughter in Kenya. He has that look on his face that lets the viewers know that this is the last time we will see him alive. The only person who doesn't know yet is the one affected the most: The new Queen. Before she knows that she is now the monarch, we get a glimpse of World War II Elizabeth with her telling about ten men what to do with an overheated engine - you go, girl! When Elizabeth and Philip return to their lodge, it's still a while until the life-changing news reaches them. Elizabeth uses the time to pen a letter to her 'papa' asking for a return to Malta. When she sees her husband talking to their private secretary outside, it dawns on her though that something must have happened - and it dawns on the viewer what that means. Compliments to Claire Foy not only for this moment. There aren't always a lot of words to describe Elizabeth's emotions but there's always quite a lot of things going on in her face during this second episode that lets the viewer know. "Let's not overcomplicate matters unnecessarily - my name is Elizabeth", the Queen says when asked about her regnal name. "Long live Queen Elizabeth", the private secretary says. And now it all dawns on Philip what this all means. As the couple leaves the lodge, a man kisses Elizabeth's feet. She is obviously uncomfortable, as is Philip as now his life of always walking two steps behind his wife begins. On their flight back, the couple talks about what is to come, which allies must leave them. Meanwhile back in England, Townsend gets the talk by the late King's private secretary about him and Margaret. This certainly isn't the last we have seen of this (history gives away great spoilers, you see). Turns out, Elizabeth Mountbatten must also die "for she has been replaced by Elizabeth Regina", Queen Mary writes in a letter to her granddaughter, adding, "The two Elizabeths will frequently be in conflict with one another. The fact is that the crown must win, must always win." What's more to say? While Winston Churchill calls for a new Elizabethan age, the Queen's mother, sister and, finally, grandmother curtsy to her - "God save the Queen!"